After solving so many hard puzzles, brain teasers and riddles its time now to solve some Funny Puzzles. Here is one such Funny Puzzle Question for Kids. You don't need to think very seriously to solve this Funny Puzzle. 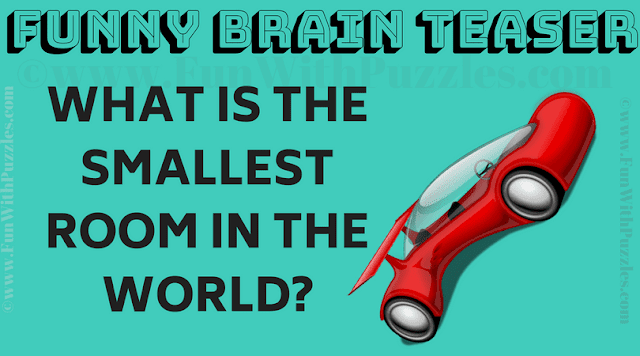 This is for fun and answer to this Funny Puzzle is also very funny. It will be interesting to know your answer for this funny puzzle. Please post your answer in the comments section of this post. Can you solve this Funny Puzzle Question? Answer of this "Funny Puzzle Question for Kids", can be viewed by clicking on answer button. Please do give your best try before looking at the answer. This was funny non serious puzzle question. Yes, your answer is right.